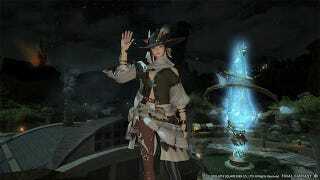 FFXIV's Got 1.5M Players. Guess That Massive Overhaul Paid Off. Final Fantasy XIV hit 1.5 million registered players in its first two months, and if you're wondering what that means, here's one suggestion: A Realm Reborn was worth it. Another high-profile MMO, Star Wars: The Old Republic, started similarly, with 1.7 million subscribers in its first two months. But momentum slowed for BioWare's online game, and following a big drop in subscription numbers, they took it free-to-play last year. Now let's see if they can keep it up.